Empower yourself in today's highly connected, socially conscious world as you learn how to wield your passions, digital tools, and the principles of social entrepreneurship to affect real change in your schools, communities, and beyond. At age eleven, Jessica Markowitz learned that girls in Rwanda are often not allowed to attend school, and Richards Rwanda took shape. Do you wish you could make a difference in your community or even the world? Are you one of the millions of high school teens with a service-learning requirement? 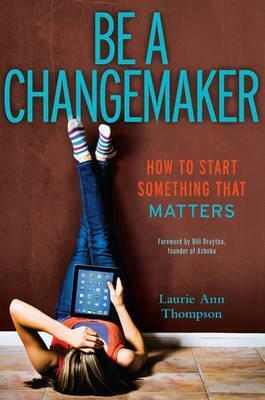 Either way, Be a Changemaker will empower you with the confidence and knowledge you need to affect real change. You'll find all the tools you need right here--through engaging youth profiles, step-by-step exercises, and practical tips, you can start making a difference today.